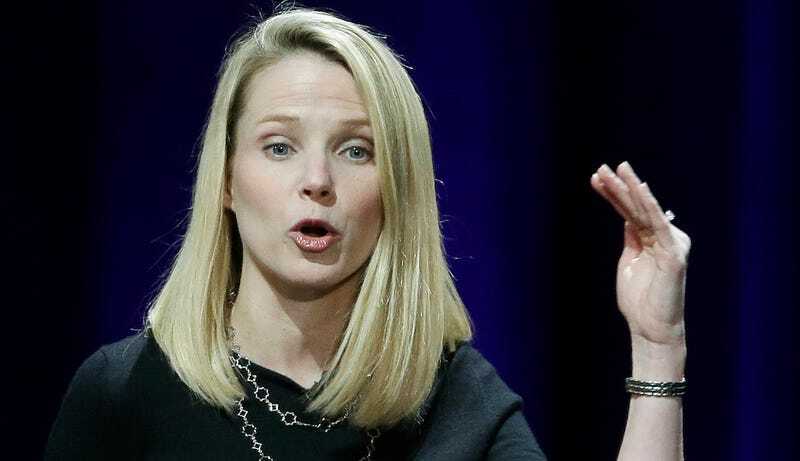 Yahoo released its latest earnings report today, and while there were some bright nuggets for the beleaguered company—its reported revenue for the second quarter of this year beat analyst estimates—there was one distinct black mark. Yahoo recorded a total goodwill impairment charge of $482 million related to its purchase of Tumblr. Whoops! A “goodwill impairment charge” is a fancy way of saying that Yahoo is writing off part of the blogging platform’s value. The $482 million comes on top of the $230 million write down it reported in February. Given that the maligned purple giant purchased Tumblr for just over $1 billion, the total write down now amounts to about $700 million—more than half of the deal’s initial value. ...it is reasonably possible that changes in judgments, assumptions and estimates we made in assessing the fair value of goodwill could cause us to consider some portion or all of the remaining goodwill of the Tumblr reporting unit to become impaired. Besides the Tumblr write down and the revenue report, Yahoo also reported earnings of $0.09 per share. In a call today discussing the report’s numbers, both CEO Marissa Mayer and CFO Ken Goldman stayed fairly quiet on the Tumblr news, though Goldman mumbled something about a “combination” of factors for the write down. Meanwhile, the news everyone was actually waiting for—an update on the sale process—didn’t materialize. Given that the final bids were reportedly due today, however, it shouldn’t be long before some news emerges.